Talent is your biggest asset — and the easiest to lose. Here’s how to keep your workforce inspired and productive, and not eyeing other opportunities. Finding and retaining IT talent is one of the major issues CIOs face today. Whether launching a digital initiative, transforming into a data-driven organization or migrating workloads to the cloud, the skills and experience of your staff can make or break key strategic projects. So when you have strong IT talent, the last thing you want is for them to be eyeing the door. 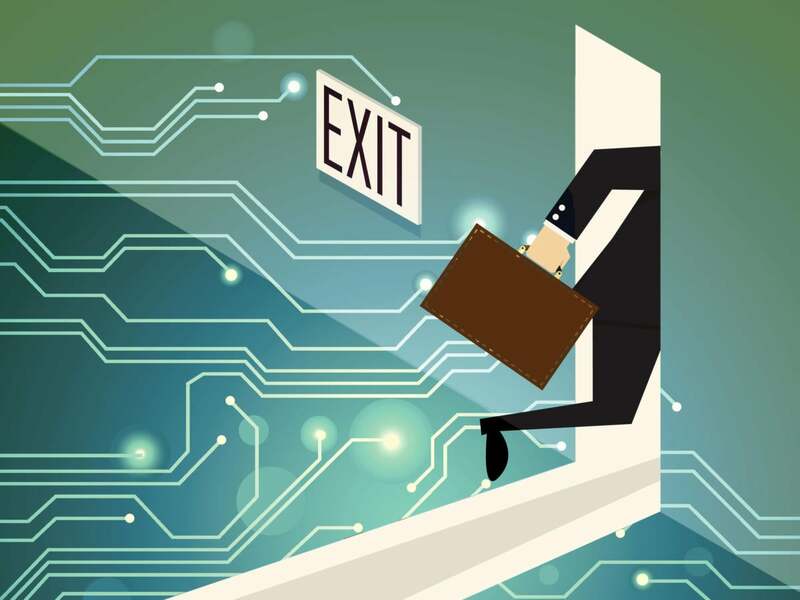 Identifying and addressing the reasons your employees might leave is incredibly important for companies trying to gain a competitive edge and remain innovative. Here are three major reasons your workforce might look for new opportunities and how you can stop them. Underrepresented women and men of color, such as black, Latino and Native American employees, are more likely to leave tech jobs due to “unfairness or mistreatment,” according to a study by the Kapor Center for Social Impact. This isn’t just a factor in retention of talent from underrepresented groups; it can impact your ability to attract and retain an entire generation of talent, says Pranam Lipinski, co-founder and CEO of campus recruiting startup Door of Clubs. In a recent Door of Clubs survey, 5,000 students were asked their opinions about what’s important to them as they enter the workforce. The No. 1 cause Generation Z cares about in the workplace? Equality. “When you’re talking about retention and Gen Z specifically, the No. 1 factor in trusting an employer is equality and how equality-minded they are,” Lipinski says. “Generation Z grew up under President Obama and all the progress that was made, socially. So, they prioritize equality very highly; it’s built into their DNA. They are not going to accept anything less. They care very deeply about seeing women and people of color in leadership positions,” he says. This next generation of talent also values authentic relationships in the workplace and wants to facilitate a sense of trust with those they work for and with, he adds. Because of this, if members of this generation don’t see people of color and women in leadership roles, they aren’t going to believe that the company is serious about its diversity and inclusion initiatives, and that’s a major strike against them. They won’t want to work there, or they’ll leave, Lipinski says. Thus, companies need to double down on diversity and inclusion (D&I) programs as well as mentorship and leadership opportunities, Lipinski says, and make sure that D&I is top of mind for every employee. All these factors impact not only engagement and morale but an employee’s likeliness to stay with an organization, he says. When was the last time your organization adopted cutting-edge tech? If it’s been awhile, it’s probably impacting your ability to retain talent. Forty-six percent of experienced, middle-aged tech workers would consider changing jobs due to a lack of enterprise software usability, according to a recent survey conducted by global enterprise applications company IFS. Historically, applications in manufacturing, supply chain as well as commonly used ERP and CRM systems are very transactional; you input data and it spits out an answer, says Rick Veague, CTO at IFS. While that’s not necessarily a deal-breaker for many older workers, even Generation X can get frustrated with software that isn’t intuitive and doesn’t operate as smoothly and seamlessly as the consumer applications they’re used to, Veague says. This issue gets even more critical with younger generations. “The younger generations are more consumer-oriented; they’re digital natives. It’s how they operate and it’s the way they’ve always related to software and solutions,” Veague says. “It’s still quite common to find this proprietary, transactional software, and even though you can dress it up and make it look nice, the ease of use just isn’t there, and that’s really frustrating because the learning curve can be very high,” he says. The IFS study shows that the higher the software’s barrier to access, the more difficult it is for users — especially Millennials and those from Gen Z — to do their jobs and advance in their careers, he says. The key for organizations looking to address this issue is to make sure your software and solutions are easy to learn and use, and have a low barrier to entry, Veague says. According to the IFS research, 37 percent of businesses are looking to boost collaboration, especially in finance and procurement departments. When you have applications that can’t support that, and your talent’s frame of reference is a highly collaborative environment, then they’re going to look for a workplace that can support those needs, Veague says. Organizations must adapt the user paradigm to be collaborative to meet the needs of these workers, he says. Integrated messaging, integrated voice conferencing, collaboration tools and platforms are all critical to employee satisfaction and to your workers’ ability to get their jobs done, he says. Otherwise, they’ll opt for greener pastures. “In terms of job retention, it’s all about empowerment,” he says. “If you give people the tools, responsibilities to do their job well in an environment that supports their values, then they’ll stick around. If not, then as they become more marketable, they won’t hesitate to move on,” Veague says.